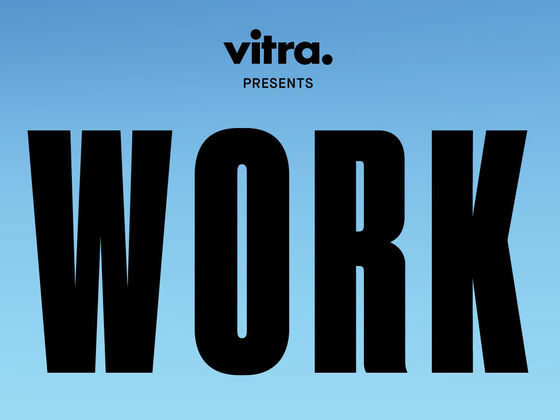 Workspirit is Vitra’s project journal about office culture and the future of work. 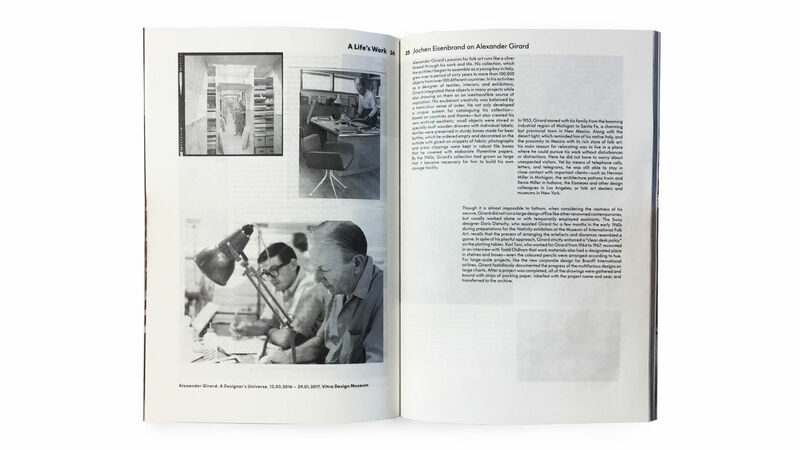 Vitra has been putting out new editions of this publication since 1988. 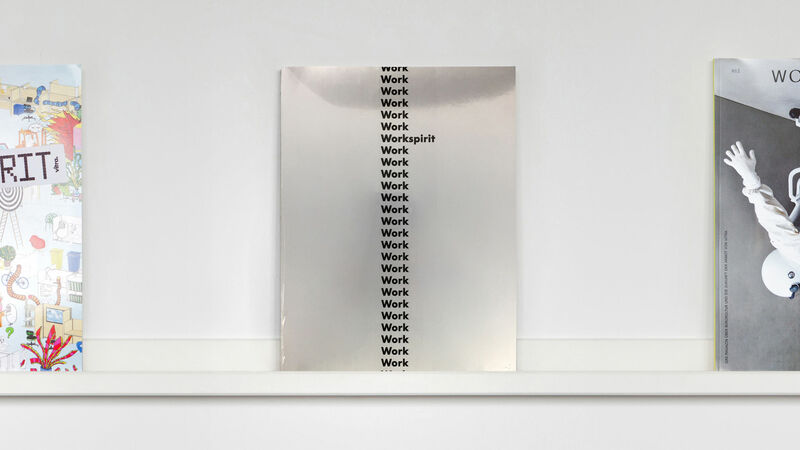 The publication contains theories on the office and on work as well as information on the kind of new products that translate these theories into reality. If we look at the office in comparison to a half century ago, not much has changed. Sure, maybe we dress more casually, but many still go to a workplace and labour for eight hours at assigned desks. 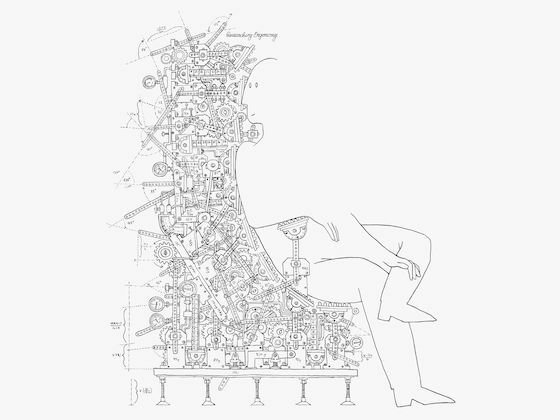 What has changed, and immensely, is the way we communicate, the possibility to work almost everywhere and the machinery that makes it possible. We rely profoundly on technology and many of our workspaces are open, with meetings on couches and discussions take place over Skype. We may share workbenches with our bosses and information over Facebook. We reply to e-mails on the morning train, change locations to change perspective when wrestling with creative obstacles and can respond to each other’s queries at all hours of the day and night. 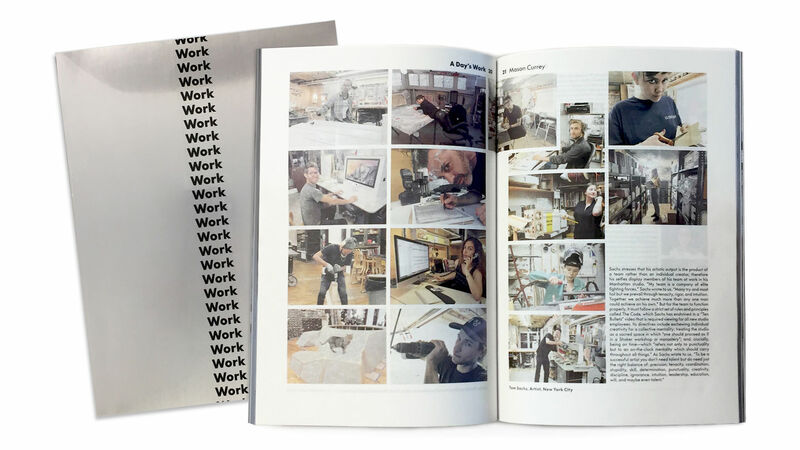 The Workspirit publications are about just that – the spirit of contemporary work. Workspirit 14 explores evolving workplace culture and Vitra’s proactive role within it in a two part story: The Social Collage and The Collage Office. The strict divisions that once existed between “home” and “work” have all but disappeared as work now takes place everywhere and at all hours of the day. As a result it seems only natural that a good office should welcome aspects of personal life and a mixture of social activity. We call this mixture the Social Collage. Workspirit 14 explored the Social Collage through a series of contributions. Individuals portray their own daily routines through photography and written captions by the author Mason Currey. The curator Joshen Eisenbrand takes the reader through the life rituals established by the designer Alexander Girard throughout his career in New Mexico at his home, studio, archive and on the road. A 1984 essay by the designer George Nelson shows us that many of the dimensions of the Social Collage are timeless. The designers Help.Ltd have contributed a section devoted to the role of plants in the office. An interview with the restaurateur Ruth Rogers reveals the social role of the restaurant in work and personal life, and finally an interpretation of the Eames Musical Tower designed by Charles and Ray Eames by the musician Questlove looks at the relationship of music to work and design. 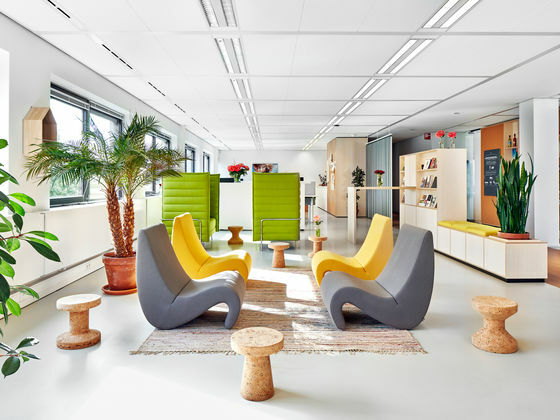 Vitra’s own approach to furnishing offices has come to be defined by the term Collage Office, but what do we mean with this new term? Through collage — an individual mix of shapes, colours, and materials — Vitra is able to translate a company’s identity into an environment. There are as many different collages as there are people, and as many different Collage Offices as there are companies. With frequent introductions of new technologies allowing us to work from anywhere at any time, the end of the office has been announced over and over. Yet today we believe that the office is, in fact, more relevant than ever. Today’s graduating talents rarely opt for a corporate career — the freedom to choose when to work, where to work, and with whom to work is more important than the security and career path offered by traditional corporations. With organisations challenged to build a common mind-set for these ever-changing teams made up of freelancers, the office finds a strengthened purpose due to the important role environments play in shaping our thinking. Of course, the environment is equally important for an organisation’s permanent staff. All of us know the comforting feeling of coming home after a long trip. With its familiar smells and memories, the home is part of our identity, and our identity is reflected in the home. The office has a similar function. Even if we could work from anywhere, we prefer to come back to the space that we share with our colleagues. At Vitra, we believe that environments are created through collage. Our idea of the collage has its origins in the interiors of Charles and Ray Eames’s house in Pacific Palisades and in the eclectic mix of Alexander Girard’s work. The kind of collage that Vitra enables is also visible in some of the widely varied office interiors that we have helped furnish. In the Collage Office section of Workspirit 14 we take the reader through a series of widely varied contemporary offices designed by a range of architects for a diverse list of clients, with the one common thread that all of these spaces have been collaged together with pieces from Vitra’s offering. We also provide a list of historical examples of Collage Offices which the editors chose from the publication An Office Perspective, which is given out as a gift along with Workspirit 14, and chronicles the evolution of workplace architecture, culture, furniture, and technology since 1850, providing a simple and powerful historical tool for anyone designing an office today. The Vitra range is made for collage, not uniformity, and the last chapter of in this Workspirit, Vitra presents new products by Antonio Citterio, Ronan & Erwan Bouroullec, Alberto Meda, Konstantin Grcic, and Edward Barber & Jay Osgerby. And thanks to the logic of the Colour & Material Library developed in collaboration with Hella Jongerius, products can be mixed and matched to form an endless number of collages.